Oklahoma City, Tulsa, Edmond and Norman cities are home to a gazillion Indian restaurants. With several varieties of cuisines, Indian restaurants in Oklahoma cater to all Indians, whether they are from Delhi, Goa, Punjab, Uttar Pradesh, Gujarat or Tamil Nadu & Telangana. 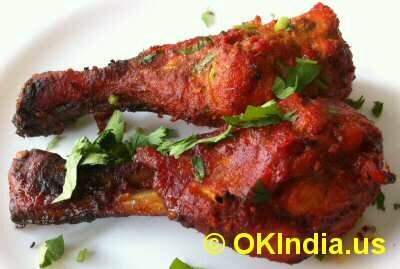 Whether you crave Tandoori Chicken, Bagara Baingan, South Indian Utappam, Biryani, Chicken Tikka Masala, Palak Paneer, Mango Dal or Lamb Rogan Josh, you can get them all and more at Oklahoma Indian restaurants. Also, like their counterparts in other parts of the U.S., most Oklahoma Indian restaurants serve all you can eat buffet or thali for lunch and a la carte menu for dinner. Besides mouthwatering Indian vegetarian and chicken entrees and biryani, pongal rice dishes, Oklahoma Indian restaurants also serve Samosa Chaat, Bhel Puri, Papri Chaat, Dahi Papdi Chaat, Indian sweets like Gulab Jamun, Gajar Halwa and beverages like Mango Lassi and Masala Chai.